Do you notice a common theme among all these images? That's right…we're talking about backsplashes today. 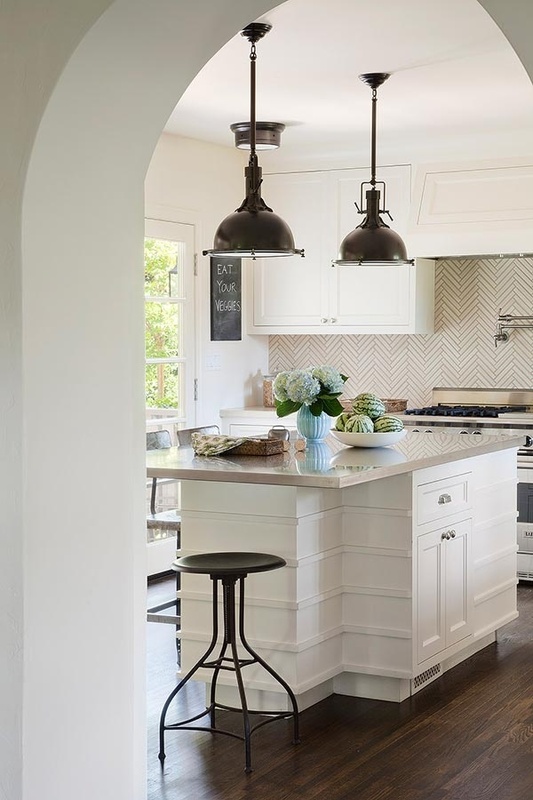 I love me a simple white subway tile backsplash, but lately, I've been swooning over a good patterned backsplash as well. Having a backsplash truly finishes off your kitchen, giving it a beautiful and seamless look. Without one, the lip of the countertop can be really distracting and totally stop the eye, disturbing the flow of the sight lines. If you don't want to go quite as bold as the first image above (but really, how cool is that black and white?! ), you can do something like the second image above and just vary the size of the same tile, giving it a more visual appeal. 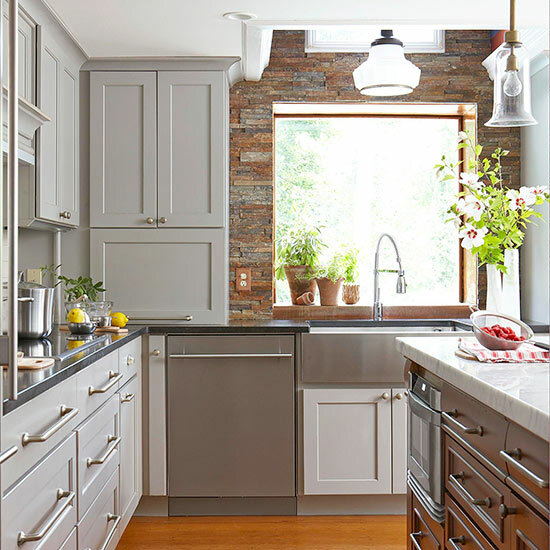 Or try a darker, more contrasting color with your cabinets (like the chunky gray subways) to give it that pop. It's a safe, but simpler way to go. Another fun way to change things up is use a lighter colored tile a grout it with a darker gray to give the kitchen some contrast. 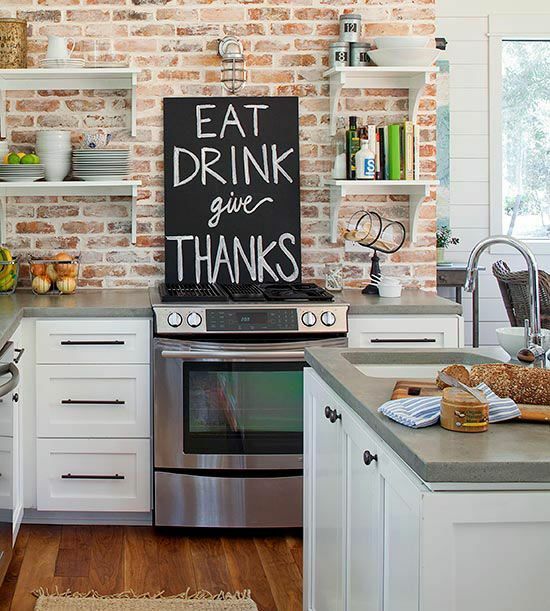 I adore the brick wall as a backsplash, too. Can't you just see that in an adorable loft or rustic/industrial home?! 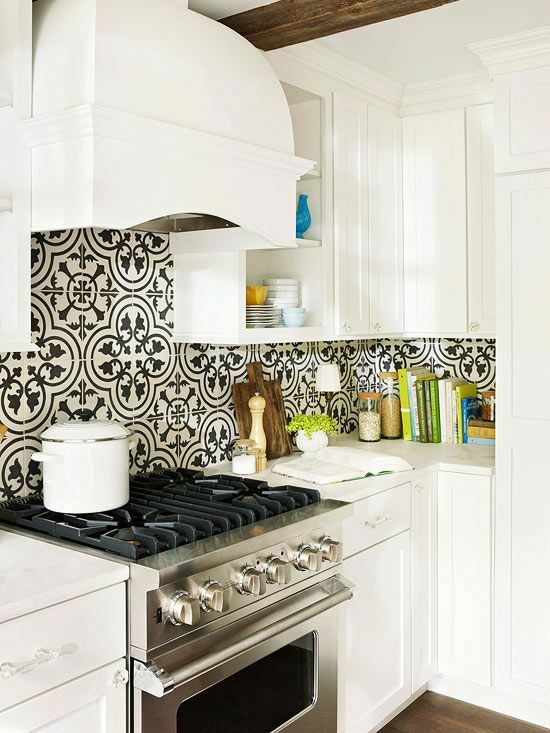 What is your favorite backsplash look? PS. Welcome my sponsor Alyssa Marie Photography! 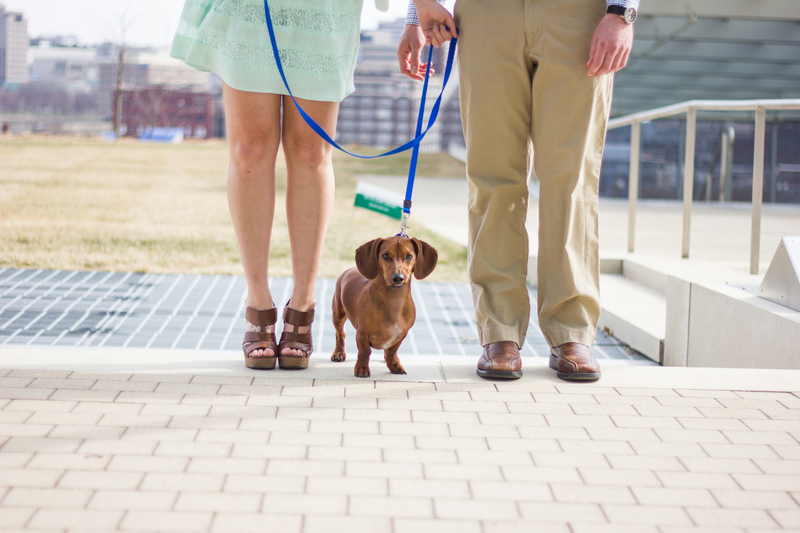 If you're looking for a photographer in the Kansas or greater midwest area, she is your gal! Seeing your designs brings back memories of the experience I had while remodeling my kitchen. Working along with the team at CKB in Westmont, IL made that process less tiresome for me. Great service along with their years of experience, CKB really made the process smooth and seamless. You should check them out at www.myclassickitchenandbath.com or call 630-515-9151, for invaluable advice, kitchen and/or bathroom remodeling services. I'm loving these backsplashes! I can't wait to own my own home some day so I can have one of these! I love a good backsplash! 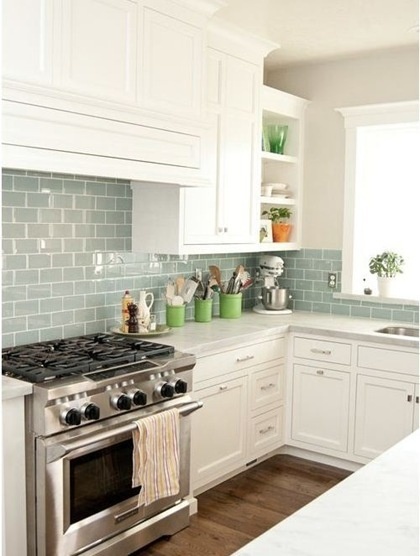 My favorite is a nice subway tile backsplash. Sooo stinkin' adorable! I want it everywhere in my house. I seriously love a good back splash! It totally makes the kitchen! 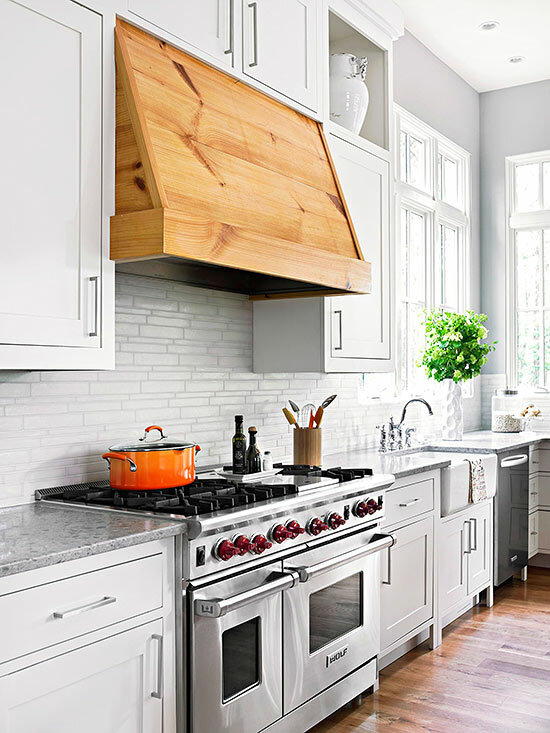 These are all gorgeous back splashes! Love them!